Since winning Super Bowl XLV with the 5th ranked defense in the NFL, the Packer’s defense has been on the decline. In 2011 they had the 32nd ranked defense, the worst in the NFL. 2012 and 2013 were slight improvements, ranking 11th and 26th respectively. So what is the reason for this precipitous decline? Certainly injuries have played a part. Few teams have had as many key injuries as the Packers. Last season, poor play at safety played a large part in the Packers’ defensive struggles. But many of the Packers defensive issues can be traced back to the defensive front. 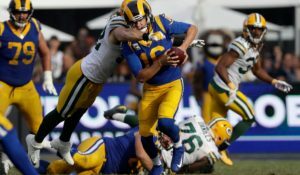 In 2010 the Packers were 2nd in the league in sacks with 47, and they had a pass rush efficiency grade of +33.7 according to profootballfocus.com . The 2013 Packers sack total of 44 was good enough to rank them 8th in the league, but a closer look at the total is revealing. Their -33.8 pass rush efficiency grade from PFF was good for just 29th in the league. And former Packer beat writer, and current Monday Morning Quarterback scribe, Greg Bedard, came up with another way of tracking pass rush efficiency in his weekly Pressure Points column, that combines, sacks and quarterback disruptions among other factors. Using this metric, the Packers were in the bottom half of the league. 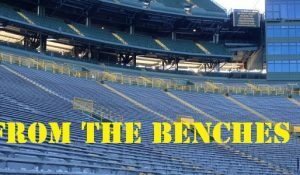 Judging by the moves the Packers made during the offseason, including the free agent signings of Julius Peppers and Letroy Guion, they have realized that changes needed to be made up front. The Packers, who are usually very committed to re-signing their own players, made little or no effort to re-sign 3 of their 4 free agent defensive lineman. Veteran defensive tackle Ryan Pickett hasn’t signed with a team yet, and may not. Backup lineman CJ Wilson signed with the Raiders. And at this point it seems highly unlikely that Johnny Jolly will be back in a Packers uniform this season. Pickett, who started all 16 games last season, had 0 sacks and just 19 tackles. His PFF grade of -2.4 for the season ranked him 53rd among defensive tackles. Wilson, who missed much of the season due to injury, recorded just 8 tackles for the season and had a -.9 PFF grade. And in 13 games, Jolly was only able to register one sack to go along with 21 tackles and a PFF grade of -2.8. The only starting defensive lineman to be re-signed, BJ Raji, was also the least effective, with 0 sacks and a paltry 17 tackles, Raji garnered a -13.6 PFF grade. The younger linemen on the team didn’t fare much better. Rookies Datone Jones and Josh Boyd both had very minimal impact, as did 2nd year lineman Jerel Worthy. 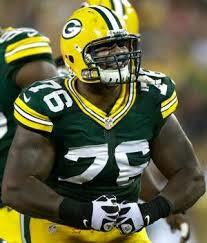 The lone bright spot along the defensive line was Mike Daniels who had 6.5 sacks and received a +21.1 PFF grade. It wasn’t just the defensive line that underperformed last year; the Packers’ outside linebackers were also inconsistent. In 11 games, Clay Matthews had 7.5 sacks and a +1.2 PFF grade, but the other outside linebackers, Mike Neal, Nick Perry, Andy Mulumba, and Nate Palmer, were only able to muster up 10 sacks between them, and all had a negative PFF grade. Even with the poor performance from the Packers’ front 7 last year, there are reasons to be optimistic this season this season. 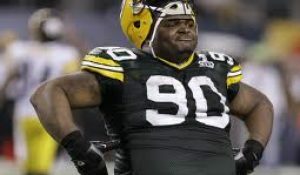 The Packers plan to move Raji from defensive end, where he has been ineffective the past couple seasons, to nose tackle, where he played in 2010, and excelled. Typically defensive lineman make a jump from year one to year two, which would bode well for both Jones and Boyd. And Jerel Worthy will be a full year removed from the knee injury that ended his rookie season. Using Perry and Peppers as elephant ends rather than as traditional outside linebackers should maximize their pass rush ability, while minimizing their weakness in coverage. And rookies Carl Bradford and Khyri Thorton are a couple of high motor additions who could both see significant playing time this season. With their potent offense, the Packers don’t need their defense to dominate games like the 49ers and Seahawks do. 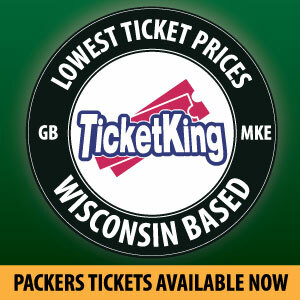 But even a marginal improvement will go a long way to getting the Packers another shot at a Super Bowl. This entry was posted in Packers 2014 - 2015 Season and tagged Carl Bradford, Julius Peppers. Bookmark the permalink.